We don't always use roads to get you there! Cross to Lipari, sailing along the west coast of this island. Swim at Canneto and visit the famous pumice quarries. 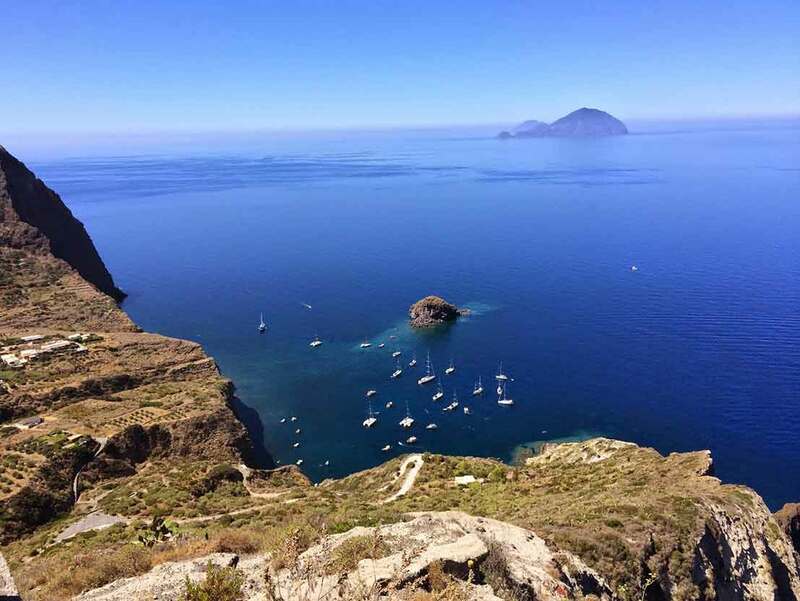 Sail to Stromboli, famous for its active volcano to swim in the hot volcanic waters. Lunch at uninhabited islets Lisca Bianca and Bottaro and a private cruise to Panarea and its white village. Advance Provisioning Allowance of €2.250 (with cash on board). The Captain will report all expenses and refund the difference if any. 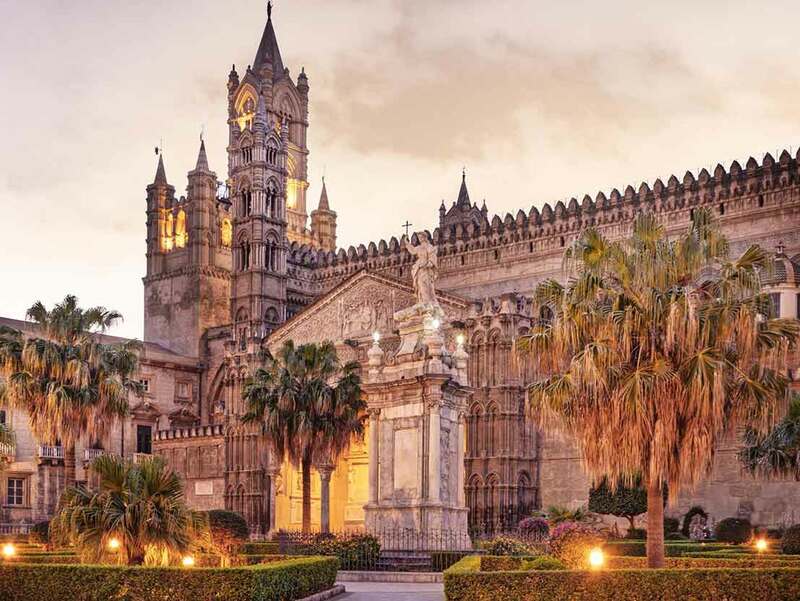 Our host will meet you at Palermo airport and transfer (30mn) you to Palermo with a private tour of the city highlights. Enjoy an unforgettable dining experience at Bye Blues with special attention from the Michelin-starred Chef Patrizia (one of Sicily’s few Michelin starred lady chefs). Suite: 5-star Grand Hotel Villa Igeia in Palermo – overnight in the historic hotel overlooking the private marina. Speed boat transfer from the marina in front of your hotel to Salina Island. VIP Welcome at resort and accommodation in Suite for 4 nights. Private catamaran and crew to explore the beauty of the Islands from the sea. Suite: Tasca Conti d’Almerita Winery at Capofaro Malvasia & Resort. Four nights in an authentic jewel of the islands. VIP Welcome at resort and accommodation in Suite for 1 night. Suite: Grand Hotel San Pietro at Taormina. One night in Relais & Chateaux property. 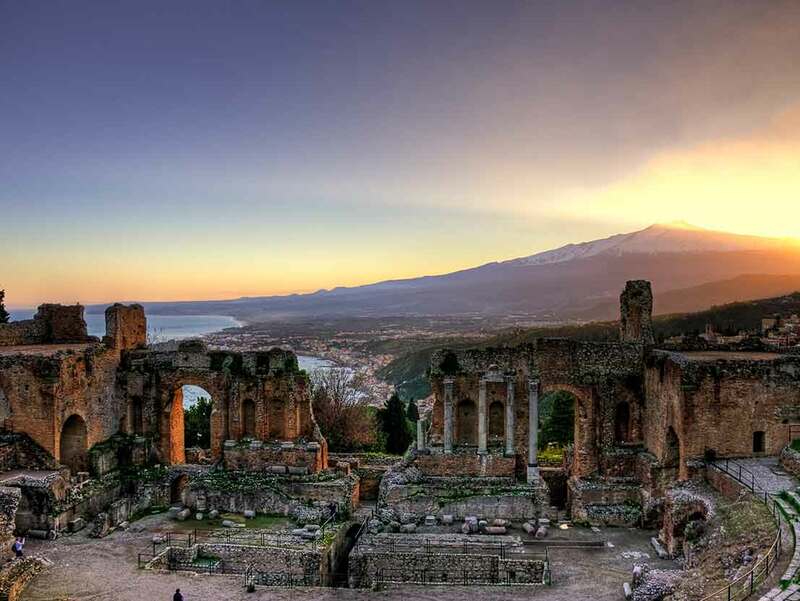 Enjoy spectacular views of the straits of Messina and of course, Etna itself from your chopper followed by a visit to a leading vineyard such as Passopisciaro with the winemaker plus a 4x4 jeep excursion up in the lava fields with a volcanologist to learn more about the features, as well as enjoy beauty spots. A 4x4 vehicle and private guide will collect you and take you for a picnic on Etna or to an authentic Sicilian restaurant and see the extraordinary natural features and sites of beauty. 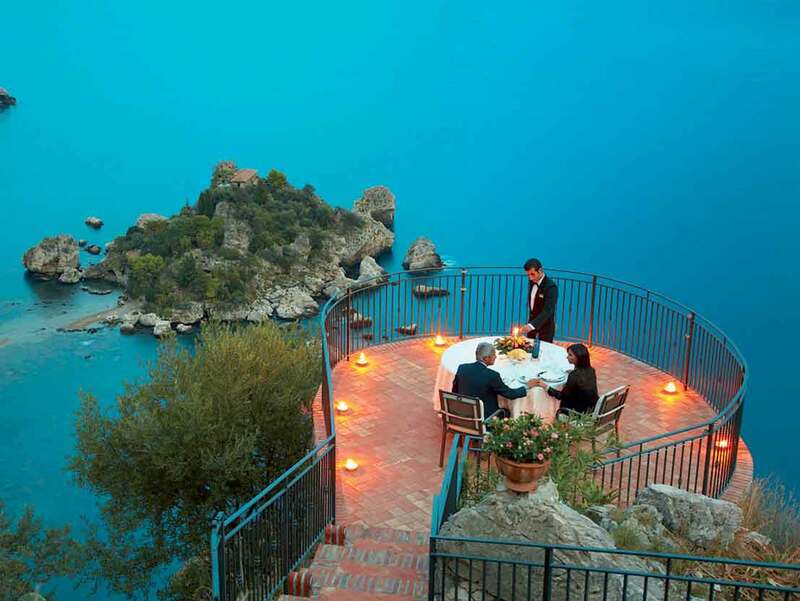 Afterward, we will transfer you by road (an hour) to Taormina to check-in to your hotel.